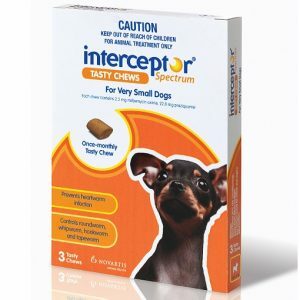 Once monthly tasty chew for dogs between 4-11 kg body weight. 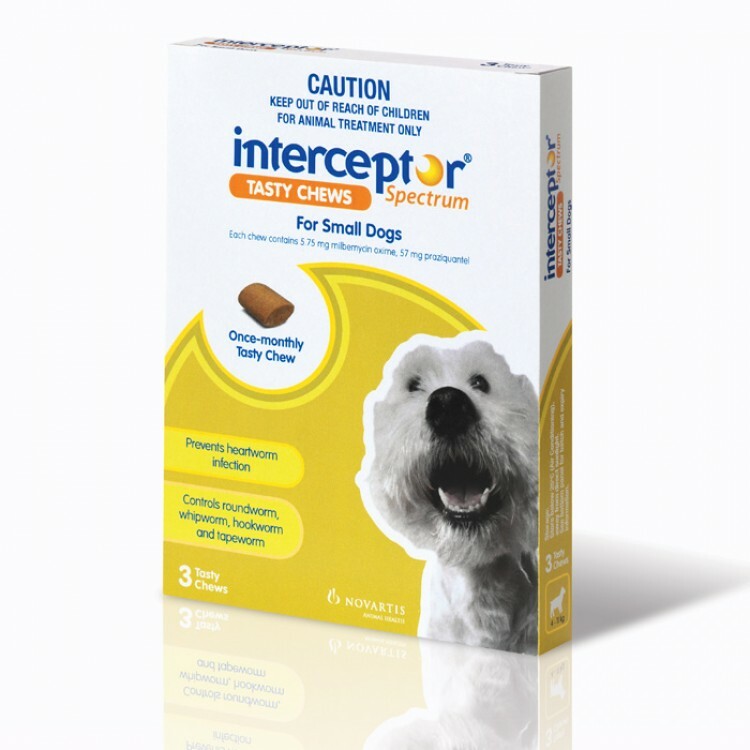 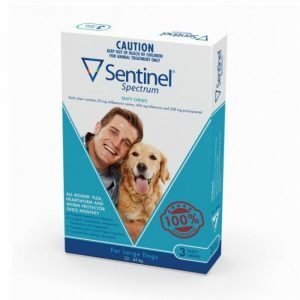 Monthly treatment with Interceptor spectrum tasty chews will prevent heartworm (Dirofilaria immitis) infection. 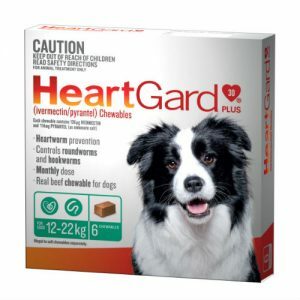 It will also control adult roundworm (Toxocara canis, Toxascaris leonina), immature roundworm (Toxocara canis), adult whipworm (Trichuris vulpis), adult hookworm (Ancylostoma caninum, Ancylostoma braziliense), adult tapeworm (Echinococcus granulosus, Taenia piriformis, Dipylidium caninum), and aid in the control of adult hookworm (Uncinaria stenocephala) infection.